The number of college and university student farms is growing rapidly in the United States. New, and even established, student farms have the opportunity and challenge to define both their strategy and physical design, which are critical to the farm’s success. 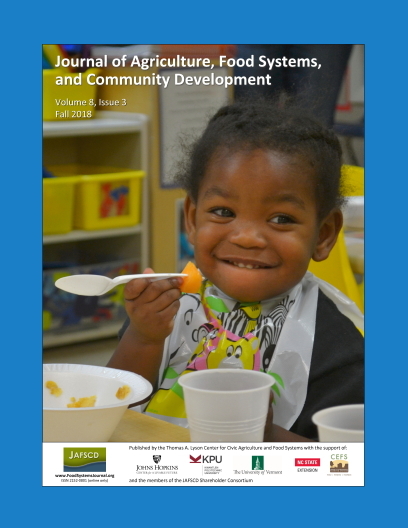 In this exploratory study of student farms across the U.S., I examine the spatial and physical design relationships that tend to be hallmarks of thriving university student farms. I employ grounded theory and content analysis to analyze 27 semistructured interviews with student farm personnel and direct field observations from 19 student farm sites at 12 public universities. The findings of this study suggest important considera­tions for site selection based on accessibility, appearance, and visibility. Onsite design recom­mendations for layout, spaces, and features are presented for six domains of the farm site. These findings illuminate how resilient student farm sites rely not only on appropriate biophysical conditions and production efficiencies, but also on physical spaces that stimulate social interaction and align with the broader campus context. These insights are most applicable to new or expanding student farms undergoing the master planning process.